Smith gives us a roadmap of Charles Taylor’s analysis of modernity. On most accounts, Smith’s treatment excels and the reader is well-equipped to analyze both Taylor’s work and (post)modernity in general. The book suffers from an unfocused conclusion and Smith’s overreliance on postmodern pop culture. In some ways the most valuable aspect is Smith’s glossary of key terms in Taylor (noted below). Smith’s version of Taylor (S-T) avoids crude genealogical accounts of how the West declined. But there were ideological moments that made it possible. And that leads to Taylor’s thesis: it is not that belief in God is simply wrong for secularists; rather, it is unthinkable. The structures that made belief in God likely on a societal level, so Taylor, are not there anymore. With this shift came a different understand of person and cosmos. The pre-modern self is ‘porous,’ open to outside influences (grace, blessing, curses, demons). Thus, the modern self is “buffered,” insulated from outside forces (Smith 30). But that gives way to another phenomenon: the nova effect: new modes of being that try to forge a way through cross-pressures (14ff). Smith has an interesting but undeveloped account of epistemology and the immanent frame (IF). The IF is a concept that, like a frame, boxes in and boxes out, focuses in and out. It captures how we inhabit our age (92). It is our orientation to the world. It is more of a “vibe” than a set of deductions. Smith is concerned that foundationalist accounts of knowledge (justified, true belief) play into a closed-world, naturalist system. “If knowledge is knowing something outside my mind, the transcendent would be about as far away as one could get” (98). One horn of my criticism is aesthetic. I think postmodern literature and art is an offense against decency, so I really can’t “relate” to Smith’s usage of them. But that doesn’t negate Smith’s thesis. The other horn of my criticism is that Smith tends to give too much of the farm away. His initial claim is good: secularism not only makes belief in God difficult, it entails an entirely new structure of beliefs that do not have room for God. But I am not sure, pace Smith, why I should be impressed with this new structure. Smith asks “How do we recognize and affirm the difficulty of belief” [in a secular age, p. 6]? The first part of the question is fine–we all recognize that belief in God can be difficult for our age. But why affirm it? What does that even mean or look like? To be fair, Smith acknowledges this point occasionally (20 n32). Nonetheless, the book has a number of poignant (and occasionally brilliant) insights that should provide good reflection for apologetics and evangelism. Nash, Ronald. The Word of God and the Mind of Man. Zondervan: 1982. Reprint by Presbyterian and Reformed. The possibility of our having cognitive knowledge about God was denied on three grounds: God is too transcendent; 2) human knowledge is de jure problematic; 3) human language was de jure problematic. Question of the book: Can the human logos know the Logos of God (Nash 14)? Hume’s Gap: our pivotal beliefs must rest on something besides knowledge. Kant’s wall: there is a wall between the world as it is and the sense world. For the Neo-Orthodox, revelation is always an event. It is never cognitive knowledge about God. (I) Some S is P (O) Some S is not P.
We can rule out O as irrelevant to the discussion. The Neo-Orthodox thinks that all evangelicals hold to A, but that’s false. We hold to I. Further, holding to I doesn’t entail the claim that all revelation is propositional. In short God reveals knowledge to his creation and some of this knowledge about himself is contained in the form of propositions (45). And even if one wants to claim that revelation is personal, saving faith still presupposes saving faith about something. This is the heart of Nash’s project. Key idea: “Jesus Christ, the eternal Logos of god, mediates all divine revelation and grounds the correspondence between the divine and human minds” (59). (1) The human intellect is both passive and active with respect to the forms (85). It is passive, pace Kant, in that it doesn’t create the conditions for knowledge. It is active in the sense that it judges and receives. (2) The forms are and are not separate from the divine mind. (3) The human mind is and is not a light that makes knowledge possible. While Nash had a fine discussion on how Augustine modified Plato’s essentialism, and I don’t necessarily disagree, the chapter just feels “short.” I know he wrote a book on the topic and it is worth pursuing there. When Nash wrote this book, the Dooyeweerdian school in Toronto was a force to be reckoned with (one sees something similar in John Frame’s works). Nash gives a fine rebuttal to the Dooyeweerdians: if human reason is valid only one one side of the cosmonomic boundary, “then any inference that God is transcendent must be an illegitimate application of human reason” (99). In other words, if God is transcendent, you are in error for saying he is transcendent! The Logos of God has created the logos of the human mind in such a way that that it can receive cognitive, propositional knowledge about a transcendent God. In Schaeffer’s other works he shows you step by step on how to “take the roof off” of a stoned-up hippie. He doesn’t do that in this one. This is more of a Dooyeweerdian (though he never acknowledges it) deconstruction of the nature-grace dualisms. I think he succeeds, though there are a few howlers. Along the way he gives brilliant insights, but the frustrating thing is that they are all in passing and are never developed. 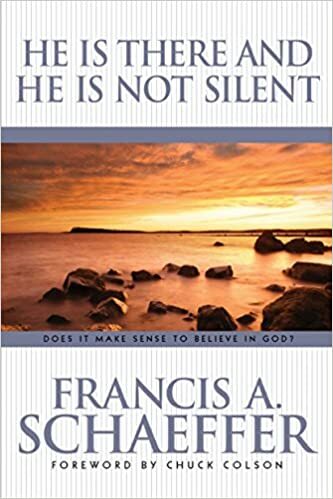 Most of the book is a summary of He is there and He is Not Silent and The God Who is There. Still, as a summary it avoids most (but not all) of Schaeffer’s weak points and the argument is forced to be tighter. If Aquinas’s focus on particulars, then we will see the influence of Cimabue’s paintings on nature. We see the influence of Cimabue’s paintings on nature. Therefore, Aquinas is the influence. This is the fallacy of affirming the consequent. In any case, it’s doubtful that Aquinas’s monastic writings would have been mainstreamed in the art community. Nevertheless, Schaeffer offers a number of diagrams that demonstrate this nature-grace fall (which I will show at the end of the review). Reformation man didn’t have this duality of nature and grace, since God’s propositional revelation spoke to both storeys. Therefore, even though nature isn’t grace, we have a unified propositional revelation from God. There is Schaeffer’s notorious section on Hegel, notorious in the sense that he gets everything wrong. But this also reveals that Schaeffer misplaces the antithesis. We commend Schaeffer for his take on the law of non-contradiction. We just reject this as the antithesis. If this is the point of antithesis, and if the Greeks upheld it as Schaeffer maintains, then on his gloss the Greeks were quite biblical in epistemology. This is unacceptable. His analysis of modern art is quite good, or so I imagine. I don’t know much about modern art, except that most of the stuff in the National Endowment of Arts is trash. I like this book better than the others in his trilogy. I read it in one sitting. It’s very well-written. And the diagrams are great. My main problem is that it reads too much like a genealogical critique. What I mean is that Schaeffer traces the problem of a thought by seeing the problems in its predecessor’s thought. This is very close to the genetic fallacy. But there is another problem. Let’s grant that Schaeffer’s analysis is correct. This can’t substitute for the hard work in epistemology and metaphysics that the budding apologist has to do. Schaeffer’s project represents the “two-storey” universe. God is up top. Man on the bottom. Unhinged from biblical revelation this means that the world of “universals” is above and the world of particulars below. They either never meet or one eats up the other. Schaeffer has a brilliant point there. Reformation man posited the uniformity of nature within an open system. Apostate man believes in the uniformity of nature within a closed system, and is left with a mechanical determinism when it comes to human freedom. Schaeffer, Francis. He is There and He is Not Silent. Tyndale. 1979 reprint. “An impersonal beginning leads to some sort of reductionism” (8). Schaeffer suggests that if all is bare particularity and there is no universal (or universals) to bind the particulars together, then they can’t have any significance. I like the idea, but I think it is under-developed. He explains the idea better with pantheism. If all is essence, or one, or whatever, then there is nothing to distinguish the particulars. They don’t have any meaning. You don’t have any meaning. Schaeffer’s argument is quite simple: you have to begin with the infinite-personal Trinity in order to have meaning. He means something like only the Trinity, and the propositional revelation of God-in-Christ, can allow for predication between universals and particulars. I agree. I just think he needs more than 100 pages to make the case. He has two long chapters on epistemology. They were surprisingly good and the astute reader can sense the Van Til. He begins, as all must, with pointing out the failures of the Greeks. Their gods were personal, but finite. As a result sometimes the gods controlled fate; sometimes fate controlled the gods. Knowledge and morality were iffy. Plato rightly championed universals, but where was the universal that held everything to be located? The gods were finite and fate was impersonal. He makes a fascinating suggestion that the Reformation’s insistence, not merely on sola scriptura, but on propositional revelation, solved the problem of nature and grace. Verbal, propositional revelation had both an infinitely personal God (universals; upper storey) that speaks to the space-time world (62). It’s a brilliant suggestion worthy of a doctoral dissertation. This book is much better than The God Who is There. Schaeffer’s argument is “tighter” and he doesn’t get sidetracked on philosophical issues that are beyond his capacity. I’ve reread these several times. I am not a pure Platonist. I do believe in universals, but I don’t think we need to get bogged down in Plato’s specifics. 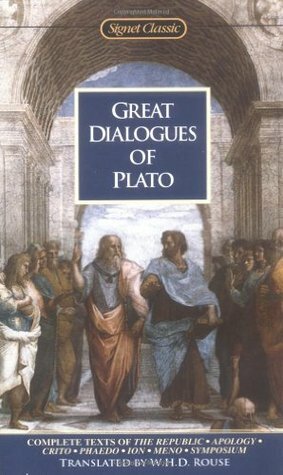 In any case, did Plato believe that relations were universals? I’m not sure, yet take the relation “north of.” This seems to be a universal. That’s Bertrand Russell’s example. Does Love have an object? Yes. Love has to love something (200c). Unfortunately, this implies desire, which is a lack. Necessarily, then, Love must love beautiful things. “justified, true belief:” “To have a right opinion without being able to give a reason is neither to understand nor is it ignorance” (202B). The nature of spiritual: “for all the spiritual is between divine and mortal” 202c-204c. Love is a great spirit which has causal power. God cannot mingle directly with man but goes through the Forms. Beauty is simple and we partake of Beauty only by participation (209c-211c). Language of ascent in 211c. The practitioner of an art/scientia never seeks the advantage simply for the sake of the art (healing is not for the sake of healing, but for the body). God, as good, could not be the cause of all things (i.e., he could not be the cause of evil). God is simple and good, so he is changeless (380a-381d). Things in the best condition are least liable to change. If something undergoes change, then it is being changed by something else (and the lesser doesn’t change the greater). Educating to virtue, thus censorship. A good soul by its own virtues provides a body in the best possible condition (402d-404c). The better rulers are usually older men (408c). There is an equivalence between concord–harmony–music–training. The result of this concord is a soul that is both temperate and brave (410c. passim). Remember that the individual soul is an analogue to the City. Plato suggests a communism in regard to the training of Guardians, but we are not yet to a full communism in society (415e). The guardians must guard against all extremes in wealth and poverty, for these lead to idleness (422b). They must maintain the mean between wealth and poverty. Temperance permeates all of society. It “brings all the strings into concord” (432a). to do one’s business and not meddle in affairs (4323-434c). justice is the presupposition (precondition?) of the other Greek virtues: temperance, courage, intelligence. multiplicity makes finding justice difficult. justice maintains the harmony between classes. We can know justice for a city by looking at a man who maintains this harmony in his soul (435a). Do we learn by one faculty, feel by another, etc.? Are the faculties within man simply synonymous or are they distinct? They are distinct. There is something in the soul that moves towards Logos and another that moves towards the passions (438b-439e). This is similar to Freud’s “divided mind” theory. This sounds a lot like Augustine’s Discussion in Book IXX City of God. Since beautiful and ugly are opposites, they are two. And since they are two, each is one. Even though each of these are one, they appear as many because each shows itself everywhere in community (476a). This sounds like Maximus’s Logos/logoi. Collectively, the forms are one but they manifest themselves as many. Opinion is between the two; it partakes of both being and non-being. This the realm of Becoming. The “mob mentality” probably can’t separate “The Beautiful” from beautiful things (493e). “perfect model of the the Good, the use of which makes all just things” (505a-c). The ectype is in relation to the archetype by analogy (508). We have noted that the forms have causal power. Their effects are in the mind. The good is the cause that knowledge exists. The Good is not a state of knowledge but something beyond it. (Please don’t get started on Dabney or racism. He was a white supremacist, just like everyone else in America, North or South, at the time. I condemn his racism as much as I condemn the racism of Lincoln or Sherman.) I am only posting this because of his discussions on faculty psychology as they relate to Edwards studies). Dabney anticipates modern debates. He sees in the “Sensualists” modern Neo-Atheism. His response is an early, if inchoate, form of Alvin Plantinga’s Evolutionary Argument Against Naturalism. As Dabney sees it, the danger is if man is nothing but atoms, how can there be the existence of a soul, mind, will, or even God? Of course, many physicalists today deny precisely that, so sometimes Dabney’s reductios fall flat. His arguments are worth exploring, nonetheless. Positive statement of the thesis: human intelligence is a pure rational spirit, not a bundle of senses (Dabney 12). He sees the beginning of Sensualism in Thomas Hobbes, where desire is “sensation transmuted.” And against later empiricists such as Locke, they confuse the occasion of the genesis of ideas with its cause (22). Not every chapter is of immediate relevance. Dabney–as well as his opponents–were working with very limited understandings of science. Dabney’s true genius, rather, lies in his discussions of mind and soul. “The mind is a distinct spiritual substance” which is part of the common sense of mankind (107). And in defending the validity of a priori notions, he writes, “Our minds are validly entitled to intuitive cognitions gained apart from sense-experience (159). Concerning the origins of a priori notions, Our notions are determined from within our mind and not by a posteriori causes (182). Dabney even anticipates the idea of “properly basic beliefs” (he calls them ‘primitive judgments’). It is a judgment that does not depend on prior premises, whether deductive or inductive. Dabney even anticipates modern rebuttals to empiricism and scientism. Sensual Empiricism is self-refuting. The claim “the mind derives all its ideas from sensation” is itself a non-sensory derived statement (185)! How can the empiricist make a universal judgment about cause-effect without seeing all examples? The mind, by contrast, makes immediately active judgments. When we see a succession of events, our mind automatically sequences them regardless of whether we have empirically verified the prior concept of “succession.” It just happens (shades of Thomas Reid!). Indeed, we have Properly basic beliefs (1st principles, etc) which cannot be conclusions of observations because “they must be in the mind in order to the making of any conclusions” (189). Dabney notes that the reformed system is not fatalistic or deterministic. He argues, “the grand condition of moral responsibility is rational spontaneity (211). The sensualist, by contrast, volitions are the effects of desires, and desire is sense-impression reappearing in reflex form.” The object of our choosing is the inducement to volition and the motive is the subjective cause. Motives arise from subjective reflections (214). Volitions are free, yet they often have a uniformity of quality that we can predict them. This uniformity is what the Scholastics called habitus, the permanent subjective law of man’s free agency. Freedom is more than the liberty to execute volitions. The soul is self-determining. This is not Pelagianism, though. We are not saying the faculty of will is self-determining. The soul has its own regulative law of action. This regulative law is its dispositions. This fact coexists with the fact of consciousness. Wherein consisteth man’s free agency? We maintain that the soul is the self-determining power. We reject the idea that the will is in perpetual equilibrium (and here Edwards’ critique is accurate). This book is hard-sledding. Some of it will not be relevant to the Christian theist today. A lot of Dabney’s reductios assumed that even his opponents will agree to the idea of “mind” or “soul.” This is not the case today. Further, some atheists can even hold to property-dualism, which does not reduce all to matter (e.g., holds to mental states). On the other hand, though, the book is an outstanding presentation of the traditional doctrines of the mind, soul, and free agency.